Keeping your sales team resilient and motivated day in and day out is a challenge for many small businesses. Over the course of his career, Patrick Morin has created perennially high-performing sales teams and shares his secrets on today’s podcast. Despite the perception that most sales people are coin-operated and only motivated by the payoff at the end of the sale, Patrick suggests the most successful salespeople are really motivated by the mission and vision of their company and the products they sell. Tune in and learn what Patrick does to inspire his sales teams. You’ll also want to check out the live Twitter Chat on Friday at Noon Central Time to talk to Patrick about what you can do to inspire your sales team. 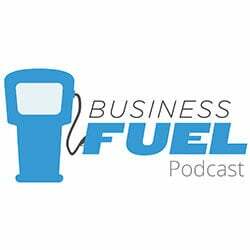 Check it out at #businessfuel. I wholeheartedly agree with the perception of successful salespeople! Unfortunately so many companies want the results of a true success oriented professional while expecting them to behave and operate like a coin operated machine. Those of us with proven success consider our work to be a practice, a strong business relationship and therefore know that we have to be as flexible as entrepreneurs to get the best results continuously. when companies embrace this aspect of sales professionals, commit to that vision in their sales departments and have those expectations there will be mutual benefit/reward. I can personally sell anything if I really believe in it. It’s not really working at all, just being myself and being of service. People sense that. They don’t feel like I am pushing something on them which can lead to feelings of mistrust. When customers feel that you are being totally honest it spells integrity. When they feel that you are truly there to serve, it makes them trust you, and when I show them how our products can improve their lives, they want to come back again and again. The questions I ask my customers help to form a personal relationship and provide me with the facts I need so that I can offer solutions to their problems and teach them how to ‘win’ through drinking and sharing our healing beverages. No one enjoys the memory of a pushy sales person or a person just getting paid to “wave a sign”… High pressure tactics might work in the short term, but true dignity and relationship building is what truly builds brand loyalty because you are building people’s trust in you and your company.